Posted on April 15, 2019 by Whole U. This entry was posted in Being Active and tagged Being Active, Walk Week. Bookmark the permalink. 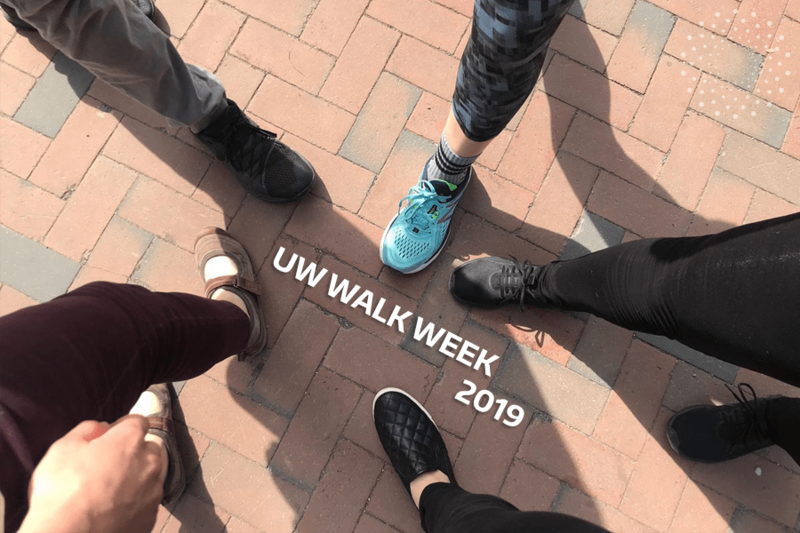 To kickoff another spring quarter and the full blossoming of the cherry blossoms on campus, The Whole U was proud to sponsor UW Walk Week from April 1 to April 5. 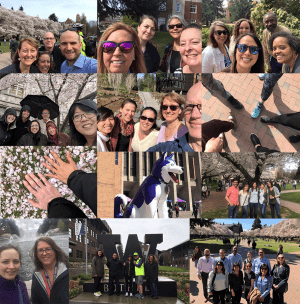 From beautiful sunny trips down to Drumheller Fountain and the Quad to cloudy (and at times rainy) strolls amidst the cherry blossoms and around campus, 547 members of the UW community walked 30 minutes every day during the week in part to underscore the many benefits of stepping out. Walking the entirety of the light rail tracks from UW to Angle Lake – 280 times! Walking the entire length of Washington State – 23 times! Have a look at our participants’ snapshots and revisit why a short walk a day can be the first step in the right direction toward better health. Full album here. Thank you AT&T and KIND bars for sponsoring UW Walk Week! It was a nice experience being part of this walk. Looking forward to the next one. Thank you Whole U. This was a lot of fun!! !